We now know that where you live and who you live with can be a better predictor of your health than your genetic code. 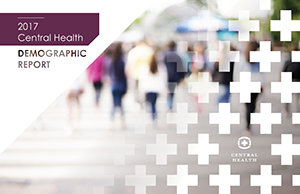 This binding relationship between health and geography is why Central Health produced this report analyzing the locations and demographics of low-income families in Travis County. Research shows us people living in areas of concentrated poverty are likely to be unhealthier than those living in upper income and mixed income neighborhoods. To create health equity in our communities, the leaders and policy makers of Travis County need to incentivize, design and preserve economic diversity in our neighborhoods. And if we are to get ahead of the issues that exacerbate racially and economically divided communities, we must begin to plan together and understand the holistic impacts of our policies, including housing and transportation, on the health of low income families. Central Health’s success as a safety-net health care provider depends on us not only treating patients when they are sick, but understanding and helping prevent the disparities that made them ill to begin with.